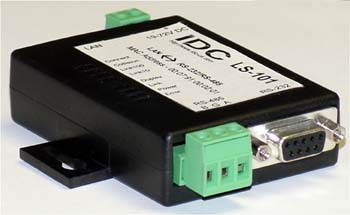 The LS-101 is a LAN to Serial Device Server for Ethernet to serial applications. 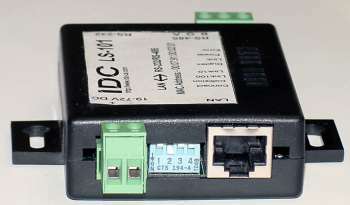 The Device features full serial handshake signals and 10/100BaseT network interface. LS-101 makes it easy to network enable any device that has a serial port. Size 2 1/4" x 3 1/4" x 7/8"